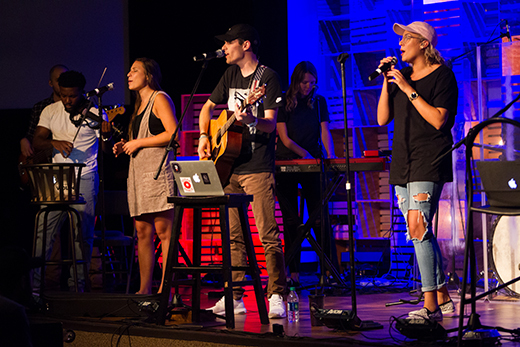 Even in the Christian music industry, where the rules and practices are expected to be different from that of secular traditions, music groups are still a prominent part of the industry. While the secular music industry can boast of several notable groups from rock groups like U2, AC/DC, The Beatles to R&B groups like Westlife and Boys II Men, the Christian music industry holds it own with popular groups such as Hillsong Worship, Kari Jobe, Passion, Jesus Culture and Elevation Worship. Elevation Worship, in particular, has been one of the leading Christian music groups in recent years which has released several chart-topping albums and songs. The group is the brainchild of Steven Furtick, who is the founder of the Elevation Church, out of which Elevation Worship manifested. Learn more about the group and its members below. 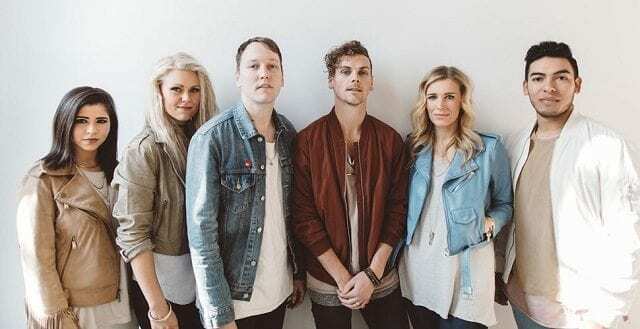 Elevation Worship Members – Who are They? Elevation Worship consists of five primary members – Chris Joel Brown, Jonsal Barrientes, Jenna Winders Barrientes, Jane Williams, and Anna Sailors. The group used to consist of seven members, but Mack Brock and London Gatch left. Elevation Worship is also known to often collaborate with guest musicians and instrumentalists. Chris Joel Brown – He has been a member of the group since its creation in 2007. He is considered the leader of the group. Chris has been a member of the Christian faith all his life as he was born to a pastor. His music talent and passion came from his mother who was a singer and a musician. He is married to Beth Brown and the couple have two children one of whom is Joah Adelaide. He was born on the 22nd of December, 1981 and also plays the guitar for the group. Jonsal Barrientes – Another member of the group is Jonsal. Jonsal is one of the leading vocalists of the Elevation Worship group. He attended International School of the Americas before he joined Elevation Church and subsequently, Elevation Worship. He is married to Jenna Winders, who is also a member of the group. He was born on September 9, 1991. Jenna Winders – She studied to become a nurse at The University of North Carolina but she instead dedicated her life to the gospel, serving through music with Elevation Worship. She is one of the group’s leading vocalists and was born on the 25th of December, 1988. Jane Williams – Jane is married to Luke Williams, who is a manager of Architect Sports, a sports and physical therapy company. The two of them share two sons, Wyatt and Nolan. She has been a member of Elevation Worship since 2007 and is also one of the group’s vocalists. London Gatch and Mack Brock – London Gatch was a former member of the group. She was one of the group’s vocalists but she has left to pursue a solo career. She now releases music under the banner of BEC Worship. His story is similar to that of Mack Brock who left the group for a solo career too. Brack has released his first single, ‘Greater Things’. Elevation Worship members in a rehearsal. Having been called to the ministry at the age of 16 and established Elevation Church in 2006, Steven Furtick, who was a music director at his former church, Christ Covenant Church, was inspired to create a music group that would minister in his church and to Christians outside of the church. Steven, together with Wade Joye and Chris Joel Brown, started Elevation Worship in 2007 in the Elevation Church. The group was completed with members – Jonsal Barrientes, Jenna Barrientes, Jane Williams, Anna Sailors, London Gatch, Mack Brock. At the early days of the group’s establishment, Elevation Worship released four independent albums. The albums, The Sound, We are Alive, God With Us, and Kingdom Come were released in 2007, 2008, 2009, and 2010 respectively. The band hit its first chart-topping production with Kingdom Come, with a song off the album, ‘Give Me Faith’ hitting the Billboard charts and peaking on the various categories – number 5 on Heatseekers, 17 on Christian Albums, and 42 on Independent Albums. Seeing the potential of the group, they were signed to Essential Records an in continuation of their tradition of releasing an album every year, they released their fifth album, For The Honor, which was their first studio album on the 21st of November 2011. Backed by the marketing prowess of a regular music label, the album reached number 1 on Heatseekers, 19 on Christian Albums and 193 on the much-coveted Billboard 200. The band has so far, released five more albums since they signed with Essential Records, with their most recent album being the release of Hallelujah Here Below in 2018, which debuted on the Billboard 200 chart at number 25 and US Christian Album chart at number 2. All their six albums have charted on the Billboard charts.